Puppetry is an ancient form of communication dating back over 3,000 years. Using inanimate objects that sometimes represent a human or animal form, puppets are animated or brought to life by a human operator or puppeteer. The Union International de la Marionnette (UNIMA) is an international organization based in France. Formed in 1929, the organization’s purpose is to promote and develop the art form of puppetry. In 2000 at their annual conference, puppeteer Dzhivada Zolfagariho felt that it was important to recognize the talents of puppeteers and so he proposed creating a special day to honour the art form and its practitioners. The holiday was observed in 2003 for the first time. Since then, World Puppetry Day is observed every March 21. On this day, all over the world, puppeteers, both amateur and professional, create performances to celebrate the fun and creativity that this art form can inspire in children and adults everywhere. Ask students if they have any puppets at home. Can they describe them? What are their names? Where did they get them? Have any students been to a live puppet show? Discuss. What do they like about puppets? What did they like about the puppet? Why do they think it seemed so real when they knew it was make believe? 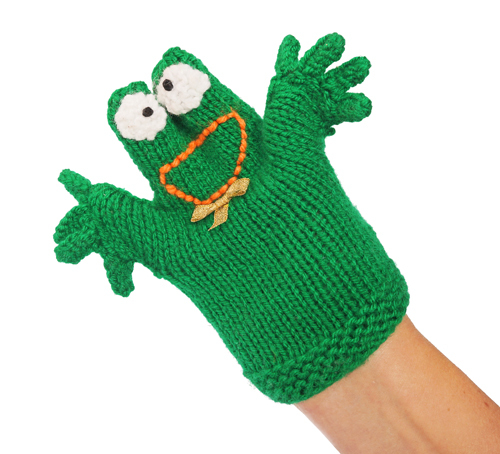 Explain that in celebration of World Puppetry Day, they are going to make their own simple sock puppet. Provide each student with a sock and have them put their hand into the sock and form a mouth. Next, invite them to find a partner and introduce their socks to each other. their favourite colours, summer and winter activities, etc. Once you met the other puppets in your group, did it matter that none of them had any faces or hair or clothes? How could you tell who was who? Did you enjoy letting your puppet talk and sing with the group? Why? Explain that puppets can be simple, like the sock puppets they made today or very detailed like the ones they see on “Sesame Street” and other puppet shows. What is important is that puppets let you play and talk and sing and dance and act without worrying about what others might think. In other words — puppets are FUN! Why do you think people enjoy puppets? Do you think puppets are just for children? Discuss. What special talents and skills do you think a puppeteer needs to have? Visit our Well Aware Series to view Gr. 6 “Art Works” and additional resources directly related to this topic. Explain that today is World Puppetry Day and ask students why they think a special day has been set aside to celebrate puppetry. Explain that puppets can be very simple as in a sock puppet, or very complex and life-like as in the puppets used on “Sesame Street.” It is not so much what the puppet looks like that matters; it is what it says, how it acts, and how others act around it that make it interesting. If you had a longer time to make your puppet what would you have done? Do you think a more detailed puppet would have changed your puppet theatre? How and why? Close by reminding students that puppets provide people with a way to express themselves and act silly, sad, serious, or happy by taking on the personality of the puppet. Sometimes it is easier to express something you feel or think through a puppet than to just say it face-to-face. Ask students if they agree with this statement and, if so, why? Encourage more puppet play throughout the school year. (6-8) Art, Drama, Conflict Resolution. Do you like puppets? Why or why not? Why do you think the art of puppetry has been around for so long? Why do children love puppets? Do you think puppets are just for younger children? Discuss. After students share their knowledge of puppet theatre, explain that sometimes puppets are used to help resolve conflicts or to help talk to children who don’t want to talk about something. Ask students to suggest why this might be an effective way to share information. Discuss. Invite students to create a puppet using any scrap materials they might have at home or in the classroom (this can be a homework assignment or in-class art lesson). Explain that the focus for this experience is not on the puppet itself, so it does not have to be elaborate. It can be a sock, a stick puppet, a paper bag, a glove, etc. Once the puppets are created, ask students to give their puppet a name. A new person in the school is being left out and put down because he/she can’t speak English. Some students have been cyber-bullying another student. No one wants to partner with a certain person and he/she is really hurt (no names). Bullying is taking place in the younger grades at your school and you and your group want to put a stop to it. Once the plays have been completed and presented to the class, consider asking the puppeteers to share them with the younger students in the school. Do you think that younger students might benefit from this kind of activity? Discuss. What qualities and characteristics do you think adult puppeteers need in order to reach many different audiences?